The Public Voting Awards for the North Notts Business Awards have proved extremely popular and that's a fantastic accolade to how much local people across the North Notts region LOVE our local firms! This is a two stage process, nominations and then voting. You may nominate as many local North Notts (Bassetlaw) based firms as you like in each category, in fact we actively encourage you to do so. Please use the form below to nominate. Nominations close on 31st October 2017. Your nominees will be notified of their nominations and will be required to complete and return the acceptance form which also includes the Terms and Conditions. It is therefore very important that you include a valid email address when making your nomination, otherwise we cannot contact your nominated firms. ​Please scroll down to complete the nomination form. Once your nominee has accepted their nomination they will be listed in the appropriate category below. Voting opens for all accepted nominees on 1st November 2017 via a specially designed voting system. Each person may only vote once. ​The deadline for your votes is midnight on Friday, 12th January 2018. Please note that each of the nominated firms are responsible for their own voting campaigns. 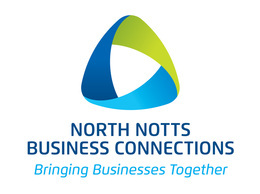 The visitor economy is a vital element to ensuring the wealth and vibrancy of the North Notts region. You always remember where you had a great meal, enjoyed an amazing day out with your family, received fantastic service or a comfortable stay. This is a "People's Choice" award and is your chance to nominate and vote for the region's best very tourist attractions, hotels, restaurants, B&Bs, pubs, cafes and leisure facilities. Nominees will need to be B2C, directly serving the general public and trading from commercial premises. Franchises are excluded. Independent retailers make a massive contribution to the local economy, generating revenue, creating jobs and also help to keep our town centres and high streets varied, vibrant and alive! This also helps to make our towns and villages in North Notts a great place to live and work and greatly enhances the tourist experience. Nominees will need to be B2C, trading from commercial retail premises and franchises are excluded. This new award celebrates the myriad of valued Artisan firms within the North Notts region. Our artisan businesses are true craftsman and women, passing down treasured and time honoured, non-industrialised and traditional methods for creating everything from carvings and carpentry, ceramics, stonemasonry and of course the region’s very finest arts, crafts, foods and liquid refreshments . From basket weavers to chocolate makers, jewellery to cakes, cheese, local craft beers and everything in-between, which one is your favourite? Here's where you submit your nominations. You can nominate as many firms as you like and for any categories. For each firm nominated you will need to provide a valid email address. We can't contact them and tell them the good news without this. ​Your nominee will need to complete and return the acceptance form. The deadline for your nominations and receipt of the completed acceptance forms from your nominees is 31st October 2017. Please provide the name for the firm which you would like to nominate including a valid email address. We can't send your nominee the good news without a valid email address.